At Chicago Athletic Clubs, there is nothing we love better than getting out there in the neighborhood and being active with our neighbors! So of course we jumped at the opportunity to merge yoga and the history of our wonderful city by offering our top quality group fitness at the Robey Hotel. The Robey Hotel, located at the iconic Damen, Milwaukee and North Avenue intersection, is quintessential Art Deco Chicago, embodying the true grit and beauty combination that make this city and its residents so very awesome. Now a hotel, this 203 foot skyscraper in the heart of Wicker Park was a former office building built in 1929, and offers an amazing 180 degree views of our great city skyline. The redesigned and transformed structure also offers some pretty swank studio space that we can wait to get our instructors into with Chicago yogis of all levels. So this winter, come get your zen on in a totally new space with our fantastic Chicago Athletic Club yoga instructors. Join Mindy Gray on Saturdays 9:30 am-10:30 am, and Jessica Anne on Sundays 9:30 am-10:30 am. All classes are held in The Hall at The Robey Hotel. Yoga mats are not available, so don't forget to bring your own. You can register for all upcoming classes here. And want to know more about our fabulous instructors? Here you go! 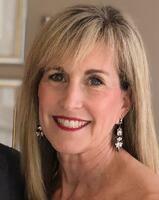 Mindy Gray has been an AFAA certified Group Exercise instructor since the Jane Fonda era. She became a Yoga Alliance 200-Hour Registered Teacher in 2013. She teaches 15-20 classes a week in multiple formats including HIIT, barre, strength, and yoga formats that comprise power, vinyasa, Ashtanga an others. She enjoys everything she teaches, but yoga is her favorite because it’s a holistic way to strengthen and stretch the mind and the body. She likes to challenge her students to get comfortable with being a little uncomfortable. 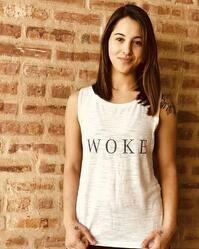 Jessica Anne is a power yoga instructor with just over three years of teaching experience. Her specialty is creating a dynamic class that involves movements and transitions that encourage her students to be present and inspire new perspectives about themselves. She loves to teach to all levels of students. She offers variations and modifications for her students to learn how to customize their practice on their own according to their needs for the day. Authenticity is a characteristic that Jessica values, so show up as you are!